Platforms: App Store timed exclusive (iPhone® & iPad®). Other platforms to follow. * Brand new style of mobile game play. 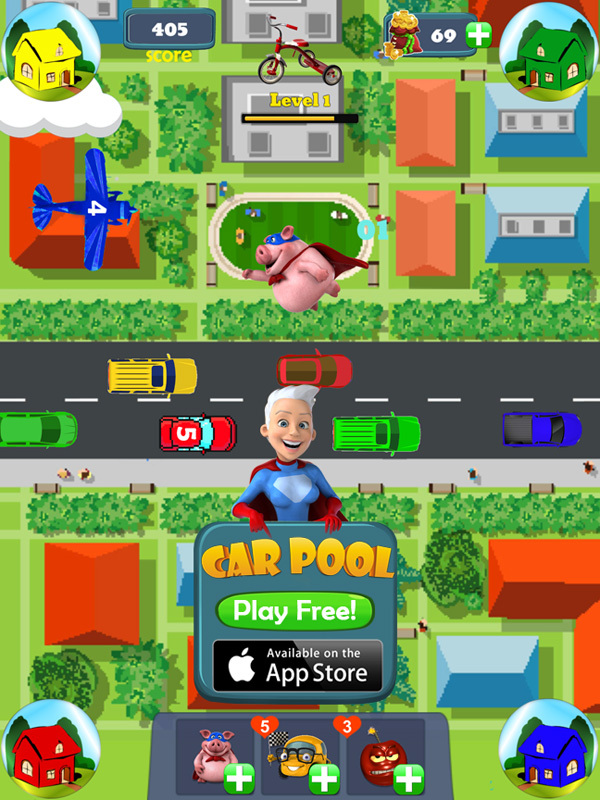 Swipe all cars, truck, planes and UFOs to their respective colored corners. * Added features and new Special Series the further you get into the game. 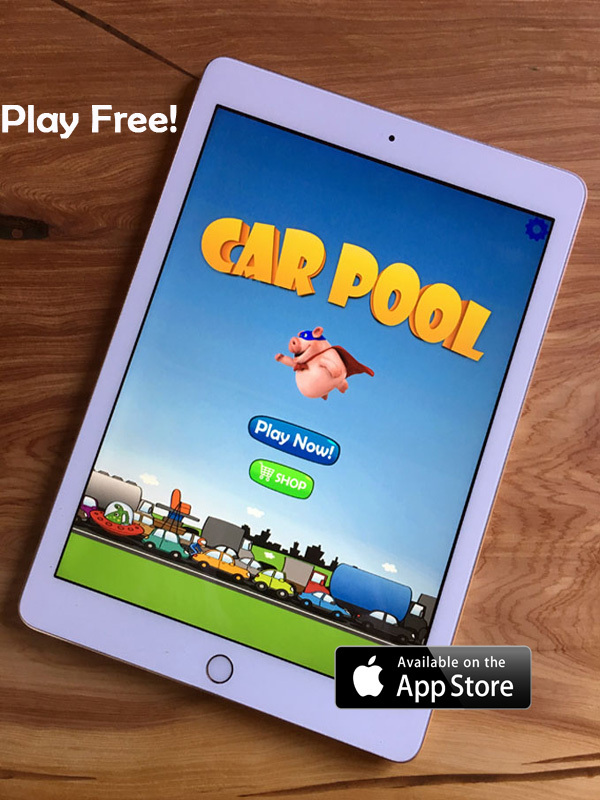 Click here for November 9th Press Release: CarPool goes live!